Chlor-alkali chemistry helps power your home, business and car while simultaneously reducing your overall energy needs by being a core element of conservation technologies. 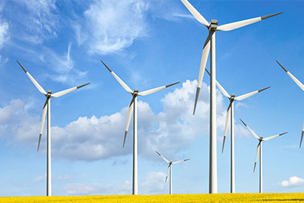 New advances in alternative energy – including the production of solar panels, wind turbine blades and hybrid batteries – depend on chlor-alkali chemistry . Conserving energy is just as important. Chlor-alkali chemistry helps produce light-weight automobiles and aircraft materials that improve fuel economy while insulation derived from chlor-alkali chemistry helps keep you comfortable in your home and at work.